This Tri-color hat has 100% canvas front with 100% polyester mesh back. It is a low structure profile hat with a pre-curved brim and black underbrim to cut the glare. 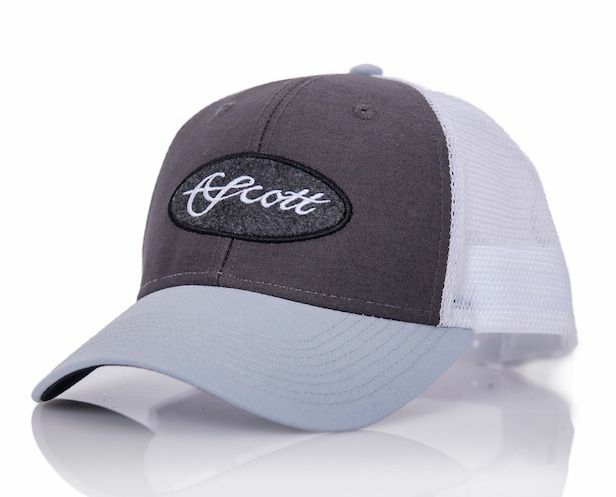 A padded sweatband for extra comfort and plastic snap closure with a Scott joker tag on the back. A wool oval patch with the Scott script is on the front.